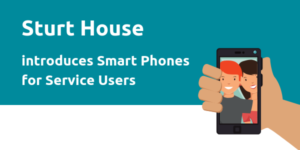 Last week, Sturt House introduced smart phone access for service users which is an exciting new initiative within our rehabilitation service in Surrey. 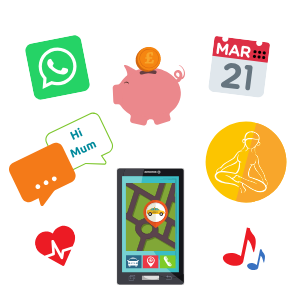 Over a number of weeks, the service users met and collaborated with the psychology team in order to discuss the most therapeutic ways to use their smart phones. It was mutually agreed that service users can use their smart phones in their bedroom so that they have privacy whilst they are in use. At Sturt House, it is recognised as a priority that service-users are able to communicate with friends and family whenever they wish-an essential element of support and comfort. It also allows service users to plan their community leave, check and manage their online banking, engage in therapeutic activity, and keep up-to-date with the world outside of hospital. We believe that access to smart phones for our service users can increase their independence and keep them in touch with the ever-changing technological world. The Psychology department have provided ‘Tech Group’ sessions to promote online safety, and to teach service-users how to use their phone in a therapeutic way. Service-users have begun to use health and wellbeing applications to assist with sleep, to monitor physical fitness to help develop goals to improve fitness. “In using my fitness app, I can see that I have lost 12kg in 11 weeks and my next aim is to walk around the grounds 7 times in 45 minutes, I currently do this 6 times”. Each individual service user met with the MDT in their monthly care review, and discussed the potential challenges and risks involved with using of a smart phone. All staff at Sturt House are subject to ongoing training on risk assessment processes and implementation of risk management plans in order to reduce the risk of harm to self and others.